I excuse myself ...divert to Uniqlo.....whoa!!!! my favourite pants on limited offer price.... ohhhhh ..I can't resist this ...no matter how hard I pray to GOD!!! The EVIL side seems to be stronger than ever!!!! 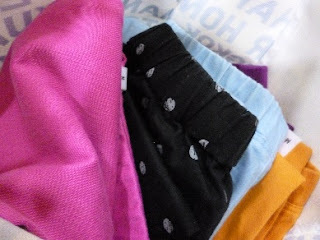 I went to cashier....to pay...oh well...I end up check out with 5 colors...WTH!!!! 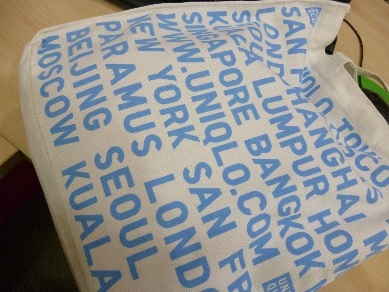 Uniqlo cashie said , I am the first person received this blue color bag at KLCC outlet...AWESOME!!!! Oh MA BABY!!!! come to MAMA!!! !